The stones were built by three different cultures, Windmill, First Wessex and the Beakers - so named because when they buried their dead they had their pots interred with them. Why has one of the stones got a smooth base? One of the stones has experienced a lot of wear over the years and to support it and to prevent it from falling, a concrete core was put in to keep it upright. This was done in 1959. Where are the Bluestones? None of them look blue? The Bluestones are the smaller inner stones, which originate from Preselli mountains in Wales, and when they become wet they turn blue. When did the ropes go up around the stone circle? The ropes were erected around the stones in 1978 to help protect the stones from further damage. Is Stonehenge the largest stone circle? Stonehenge is not the largest stone circle in the world but it is the only one that has lintels around the top, making this unique. There is no explanation as to why the site was chosen. Various theories have been put forward but no conclusive evidence has been found to support them. Why can't we go into the centre circle? The stone circle has had a lot of footfall over the past few centuries and for conservation purposes it has to be roped off. We do, however, have out of hours Stone Circle Access which allows us to monitor numbers. Why do we have to pay as this is our heritage? The stone circle was given to the government in 1918 by Sir Cecil Chubb with the provision that a charge was to be made to pay for the upkeep. What happened to the rest of the stones? A lot of the original stones have been taken by our ancestors to build their houses and roads. Also, a lot of stones have been chipped away by visitors and taken away as souvenirs over the past couple of hundred years. How did Stonehenge come into the care of English Heritage? When Stonehenge was given to the government it was looked after by the Department of the Environment. 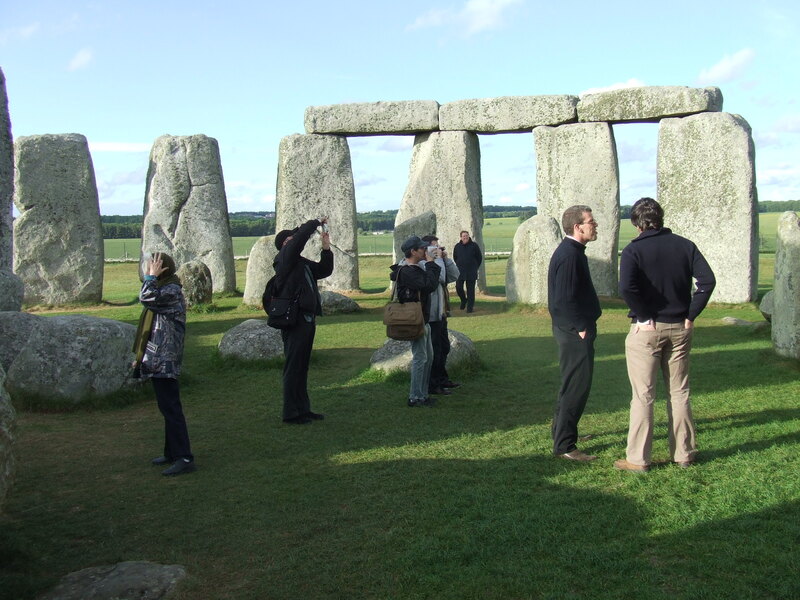 English Heritage was created in 1984 to manage the built heritage of the country, which included the management of the Stonehenge monument. Where can the artefacts found at Stonehenge be viewed? Artefacts can be viewed at Salisbury Museum and Devizes Museum.